Nelson Mandela University Business School accepts psychometric test results from SHL, NMAT or GMAT. The psychometric testing phase (PHASE 2) of our application process is compulsory for all students. We require prospective students to obtain appropriate results on their psychometric test in order to move onto the final stage of the application process, the interview (PHASE 3). Requirements: Each applicant must score a weighted average of 5 out of 10 on each of the psychometric test sections. The SHL psychometric test, which is a time sensitive test, assesses an applicant’s verbal, numerical and inductive reasoning. http://www.shldirect.com/en/practice-tests/ (you can create your own username and password). Requirements: Each applicant must score an overall minimum of 160 out of 360 for the psychometric test. The NMAT psychometric test, which is a time sensitive test, assesses an applicant’s verbal, numerical and inductive reasoning. Please note that we must receive all NMAT results by 1 November 2019. Requirements: Each applicant must score an overall minimum of 520 for the Psychometric Test. Please visit https://www.mba.com/africa for further information. 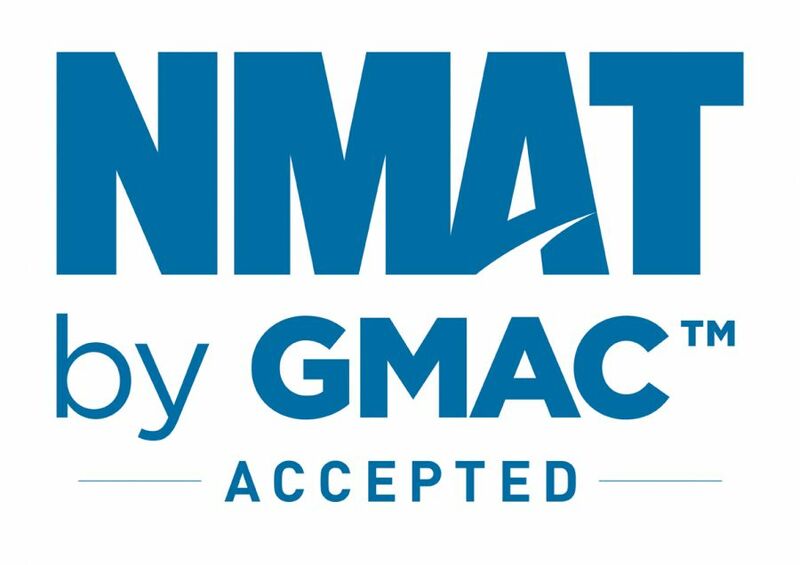 Please note that we must receive all GMAT results by 1 November 2019. The GMAT Psychometric Test is a time sensitive test. Depending on the review of the application at PHASE 1 and PHASE 2 of the application process, an applicant that meets the admission criteria for both PHASE 1 and PHASE 2 will be invited for an interview (PHASE 3). Interviews will be conducted via Skype or in person in the relevant Centre. Once PHASE 3 is complete a final review of your application will take place and you will receive notification of the outcome a week after your interview.